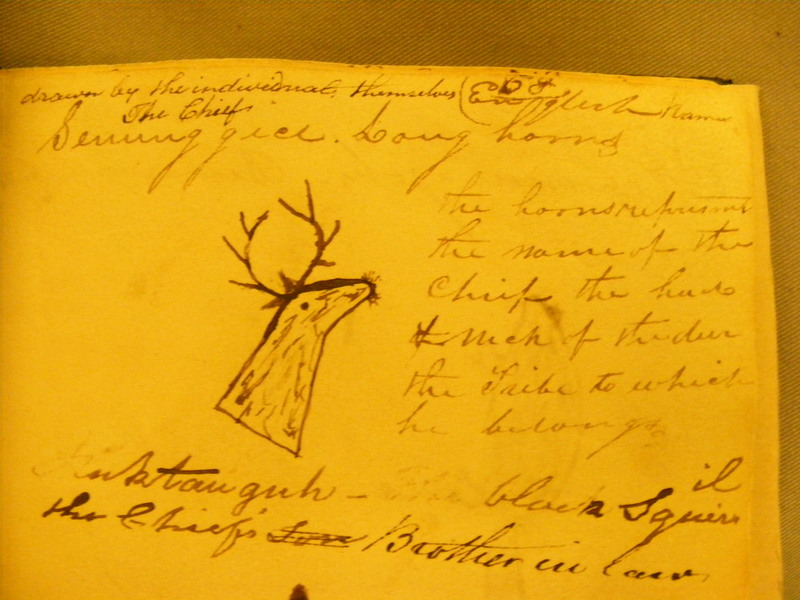 Long Horns’ signature in ‘The Visiters’ Book’, 1818. 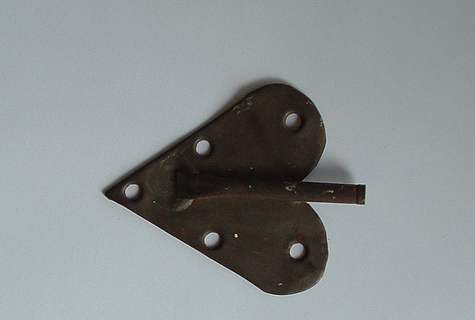 In June’s ‘Family Tree Magazine’ I will have a piece about crafts done by ancestors in asylums. Here on the blog, I like to share those fascinating bits and pieces from my research that I can’t shoehorn into my writing. Amongst the documents I used for the research, was the ‘Visiters’ Book’ [sic] of the Quaker-run, Retreat asylum in York. (RET 1/4/4/1). It struck me as a great resource for genealogists and historians, alike. A book full of names and addresses of people from all over the world. The book has signatures and comments from everyone from celebs like the Duke of Wellington, to “Rodrick McCloud. A person from Scotland who has been many years in America in the mercantile trade”. The asylum was progressive – the first of its kind in the world, so attracted visitors and enquiring minds from various countries. Another American visitor came on 11th March, 1803: “Abraham Barker, New Bedford, Massachusits [sic], N. America, a young man (a Friend) on a tour…” (‘A Friend’ meant a fellow Quaker, member of the Society of Friends). I was unable to explore the ‘Visiter’s Book’ in the article ~ so for your delectation, and as a taster for anyone who may want to read that issue of ‘Family Tree Magazine’, here is one of my favourite autographs. I will put up more of them over the next few weeks. In 1818, a group of native Americans, from the Seneca nation, visited the Retreat. The Seneca were one of the Five Nations of the Iroquois, and allies of the British in the Seven Years War and the American Revolution. It seems their cordial relationship with the British survived into the early nineteenth century. On the 8th May, 1818, “A Chief and six warriors of the Seneca Indians with their Interpriter [sic] came to breakfast and stop[ped] til about two P.M…” The Visitors, who included a chief, his brother-in-law and son, signed the ‘Visiters’ Book’ with pictographs, “the marks of their Tribe” as the Visiters’ Book termed them. I suspect these may refer to their various war bands? The chief, Long Horns, signs with a pictograph for his name. Their names were rendered phonetically in the book, and then translated into English. Considering how few native American autographs from Regency times, must exist in the world – these have to be priceless. They are a valuable piece of history for both the Seneca nation and Yorkshire. I have used very many primary sources, in recent years; documents dating back from Tudor times onwards. But I have to admit this is my favourite ever ‘find’ in an archive. I have always loved the unexpected and arcane in Yorkshire history. This is close to the motherlode. I will share more from the Senecas’ visit, in the next few weeks, for those who love this stuff as much as me. Image by kind permission of The Borthwick Institute For Archives, University of York. The Old Hand-Knitters of the Dales, 2014 edition. It still doesn’t feel real, to me, but… The new edition of ‘The Old Hand-Knitters of the Dales’ is here! Our new edition reproduces the text of the 1951 First Edition, but we have added a Dales glove pattern and an Introduction, which gives biographical information about the previously mysterious writers/illustrator, Misses Hartley and Ingilby. This edition’s journey to publication strangely mirrored the journey of the first edition, which was completed in 1949, but wasn’t published til 1951. In that edition’s case, the delay was due to post-War paper shortages! In the new edition’s case, we had to contend with various delays beyond anyone’s control; not least the unexpected complexities of a certain Dales glove. There are also some notes about these gloves: I think I have tracked down the original owner. Putting the new edition together, we wanted to give some context for Miss Hartley and Miss Ingilby; the ladies remained shadowy figures to knitters and yet they gave generations of knitters so much enjoyment. So I researched their lives; travelling to the Wordsworth Trust’s museum and Wordsworth’s former home, Dove Cottage, in Cumbria – following in the footsteps of Marie Hartley, who was there in 1948 or ‘9, illustrating the Dales gloves in their collection. There we made some very dear friends – a happy by-product of our journey all over the North of England, putting together this special edition. I also spent time in Leeds at the Yorkshire Archaeological Society, where Marie Hartley and Joan Ingilby’s archives are deposited. And yet more time up in the Dales at Hawes, to research in the reserve collection at the Dales Countryside Museum; the museum Marie Hartley set up; the core of her personal collection of farming and knitting paraphernalia becoming the beginnings of their collection. On one visit, I found myself behind the scenes with a gentleman researching arcane Dales folk music. He had a squeeze-box of some kind with him, and kept playing melodies, as he researched. I couldn’t resist striking up a conversation and it turned out he had been Miss Hartley and Ingilby’s neighbour for years! We wanted to bring Dales knitting alive again for a new generation of adventurous knitters, so the incredible force of nature that is Shannon Okey decided we’d include a pattern for one of the very gloves Marie illustrated. We decided on the most complex extant Dales glove. The famous ‘Mary Allen’ gloves are a sedate walk in the park compared to the glory that is the “G.Walton. 1846” glove (now on display at the Wordsworth Trust’s Museum in Grasmere). In the end, I reverse engineered the Walton gloves with the help of designer Tom van Deijnen (tomofholland), and “Corvid”, whose technical knowledge is formidable. As a result, the new edition is the end-product of a collaboration between people from England, Holland (but living in England! ), Canada and the US. A truly international effort for a book that is apparently so “Yorkshire”! We hope everyone who has ever loved this book finds something new and interesting in this special edition. And also that it finds a new generation of readers who will love it as much as it deserves. Which is a lot. It is a classic milestone, and a piece of knitting history in its own right. Incredible for a book written by two non-knitters in the 1940s! ‘The Old Hand-Knitters of the Dales’ is available for pre-order, and the pattern is up on Ravelry. 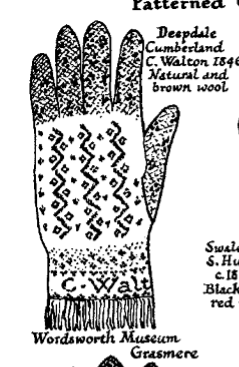 Marie Hartley’s original illustration of the “G.Walton” glove. I took up the challenge to trace the previously elusive Dr Richard Lloyd Pinching; a rather sinister presence who figures in the embroidered rants of Lorina Bulwer. Pinching was a surgeon from Northern Ireland who practiced in Walthamstow for over twenty years, surviving scandal (it came to light that he had sent a series of explicit letters, grooming a 13 year old child from Walthamstow Orphans’ Asylum) and notoriety (he tried to persuade a dying, wealthy patient to change his will), until suddenly de-camping to San Francisco, aged 60, with Lorina’s sister Anna Maria Young. Where he re-invented himself and Anna Maria, as a presitigous doctor and his wife. Dr Pinching’s actual wife remained in London, living into the 1880s. Dr Richard L. Pinching, a prominent physician and surgeon of this city, was burned to death last Friday night, at Cherry Creek, White Pine county, Nev., where he had been spending a two months’ vacation with the family of John Wearne, a well-known mill-owner of that section. The fatal accident occurred in the early morning. At an early hour, Mr Wearne smelt strong fumes of smoke, and rising from his bed at once went to Dr Pinching’s room, from where the smoke seemed to be coming. He quickly opened the un-locked door, only to see the room blazing with flames, and Dr. Pinching burning to death in their midst. The open door increased the draft, and the flames soon spread throughout the building. Mr Wearne gave the alarm, and he and his family had only a few moments to save their lives.They rushed from the burning building in their night-clothes. No aid could be obtained, as the nearest town was Wells, 200 miles away. The flames had so increased that the entire building and outhouses were soon in flames, and the family could do nothing but stand to one side and see the place perish. When the fire had died away the smouldering ruins were searched for the body of the dead physician. They were found in a ghastly shape, and the kind friends collected them and gave them burial last Sunday in the little churchyard near Cherry Creek. 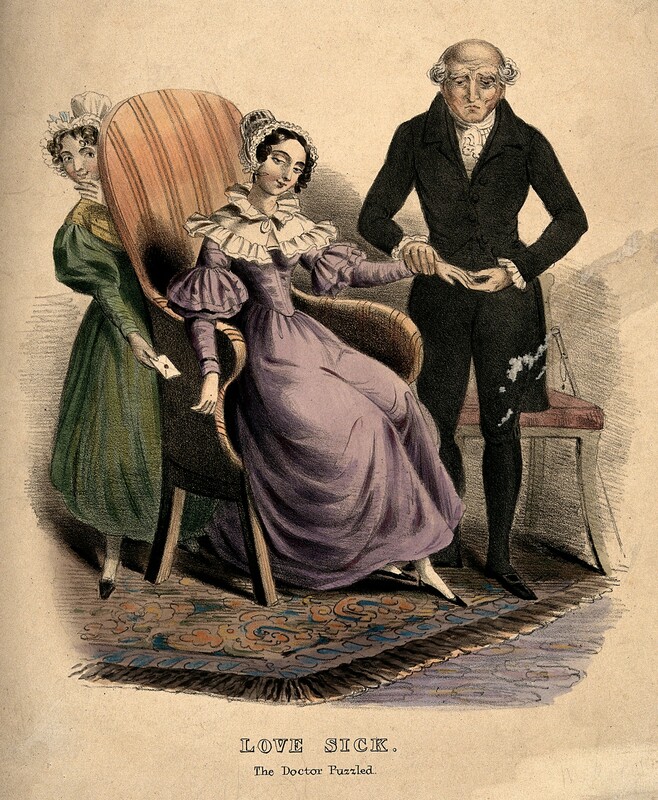 Mrs. Pinching, widow of the deceased, did not hear of the death of her husband until Monday night, when a friend of Mrs Wearne, to whom the latter had written about the accident, told Mrs. Pinching. It is needless to say that the lady was terribly overcome by the shock, and it was a long time before she could realize the situation. To a CHRONICLE reporter last night she told the sorrowful tale. She said her husband had gone to Cherry Creek for his health at the wish of Mrs Wearne. He wrote to her, telling her how much his health had been improved by the brisk mountain air, and Friday last, the fatal day, she received a letter from him saying he would return home in October. Mrs.Pinching telegraphed to Wells, Nev., Monday night, to learn the details of the accident, and sat up all night waiting for the answer, which did not come until yesterday afternoon. The late physician was born in the north of Ireland, and when a young man began to study medicine there. He graduated from the leading London medical colleges and was a prominent member of the Royal College of Surgeons, England, and of the Dublin Lying-in Hospital. He came to California twenty years ago, and has resided in this city at 1516 California street, for some time. [San Francisco Chronicle, Wednesday August 15th, 1888]. [‘Treasure Hill: Portrait of a Silver Mining Camp’ by William Turrentine Jackson, p.16 University of Nevada Press, 1963, page 166]. I managed to track Wearne down by finding his gravestone listed here. From this we can see John Wearne’s fluctuating fortunes. By 1888, the year Dr Pinching burned down his Cherry Creek home, Wearne had been compelled to rebuild his life from scratch at least once, already. We glimpse the precarious lives of English and Northern Irish ex-pats in the boom and bust world of mining, half a world away from home. Both Cherry Creek and Treasure City are now ghost towns. No doubt Pinching went where the money was. From the fact Anna Maria wasn’t even directly informed of his death makes me wonder whether he ever truly intended to return to San Francisco. 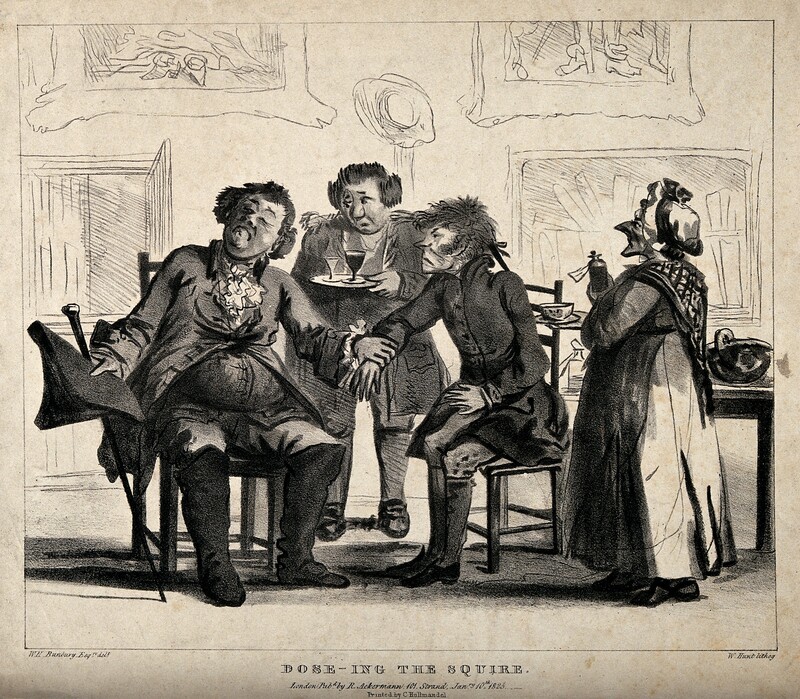 It’s likely Wearne had no idea about ‘The Alleged Walthamstow Scandal’ years before and was as taken in by Dr Pinching’s reinvention of himself, as the residents of San Francisco appear to have been. Pinching appears to have vanished to Australia, then New Zealand, a few years earlier – only to reappear in San Francisco. And finally, what became of Anna Maria? Her obit – and Dr Pinching’s – were found by fellow knitting genealogist, Melissa, who came to my aid with the Ancestry worldwide stuff. Without Melissa’s work, Pinching and Anna Maria would have appeared to fall off the edge of the world when they left London in 1870. Indeed, in some ways, they did. Who could have predicted the member of the Royal College of Surgeons, and graduate of Dublin’s prestigious Lying-In Hospital, pillar of the community in prosperous Walthamstow, would end up burning to death in Cherry Creek, Nevada? In the embroidered letters, Lorina believed she was an only child and her sisters, Anna Maria and Amelia, were imposters. At one point, she wrote she was the Bulwers’ “ONLY DAUGHTER”. (‘LOYD’S SHIP’ will be a confused reference to Lloyds of London, no doubt, not Richard Lloyd Pinching). ‘Her three’ children? Anna Maria was only recorded as having Herbert, born 1862, with her on the passage to America. No trace can be found of the child, Walter, born 1861, from her marriage to George Young. Her stepchildren were also left behind. Lorina was preoccupied by the paranoid idea that members of her family were changelings, or simulacra. In the Leeds Lorina, she speaks of Anna Maria as a kind of hollow woman: “MAKING AND ALTERING SHAPES THE SKELETONS INSIDES/COMPLETELY EATEN AWAY”. Yet maybe it was understandable that no-one was quite who they seemed and that identities shifted. Anna Maria is a chimera in the samplers; never real. Now we know the story, we can understand Lorina’s use of the surname ‘Young’ was very pointed. Anna Maria was to spend decades of her life as ‘Mrs Pinching’ when legally, she was indeed “Mrs Young”. Lorina knew it was artifice. 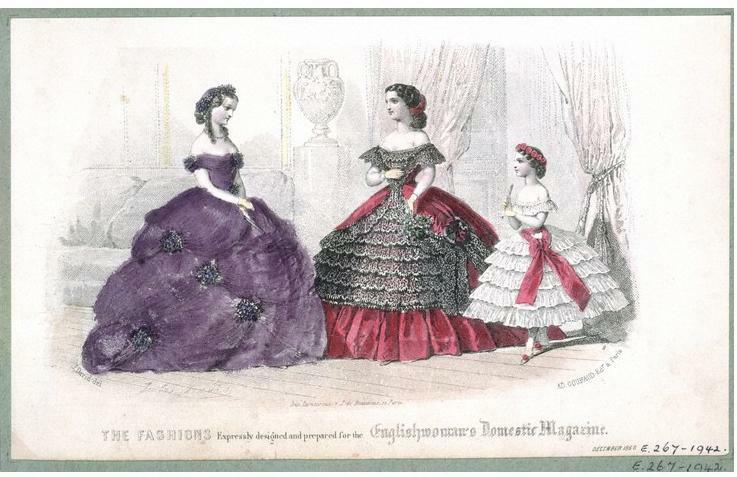 1860 Fashion Plate. Via Wikicommons. Pinching had verified Lorina was “a properly shaped female”; Anna Maria’s shape was not ‘proper’ and something about her was not even female, according to Lorina. Anna Maria was not who she said she was. There is an essential truth underlying Lorina’s rant. The shape of people; and their ability to not be what they seem, is Lorina’s preoccupation. And maybe now we know more of the story, this makes more sense. Her older brother Edgar (“E.BULWER ESQ”) knew “the truth” so had her committed to the asylum. It is possible Lorina’s mother genuinely had this delusion, and Lorina grew up believing it. She also believed her sisters were somehow not real, although never seemed to doubt Edgar’s solidity. This idea of people being simulacra is stronger in the Leeds Lorina. Speaking of a fellow inmate, Lorina says: “SHE IS A COPY OF REUBEN MARSHALL SHE/IS ALSO A COPY OF Mr SAMUEL GUNTON BUTCHER”. 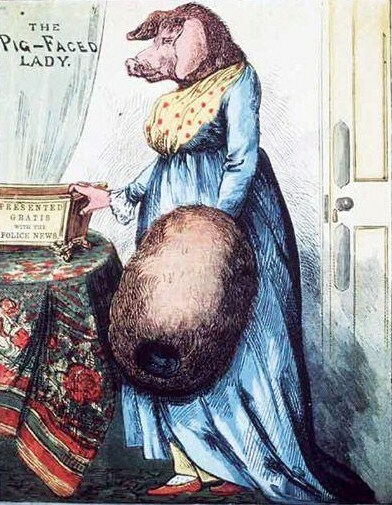 One ‘fake’ woman is described as: “A MONGREL SOW DRESSED IN SATIN“. Lorina smelt the snake-oil salesman and even knowing Pinching was from Northern Ireland, felt he was somehow ‘American’ (he was naturalised within a couple of years of emigrating). As we know there was no blood tie, or even one by marriage, between Pinching and the Bulwers, we have to wonder about the nature of the connection between Pinching and Lorina. We can’t know why Lorina would have submitted to or been made to submit to, an examination by keen gynaecologist, Richard L. Pinching. It implies she was staying with Anna Maria in Walthamstow at some point before 1870 and that she met and knew Pinching and seems to have felt there was some tangible “tie” between them. She had been here before – with Anna Maria’s former beau, Frederick Palmer. Moses & Son were successful and fashionable tailors in The Minories, London. Lorina was probably linking them randomly; it is possible in her earlier incarnation as a milliner, she had some dealings with them and, in her paranoia, associated them with her arch-enemies. (Politically Correct Lorina was not. 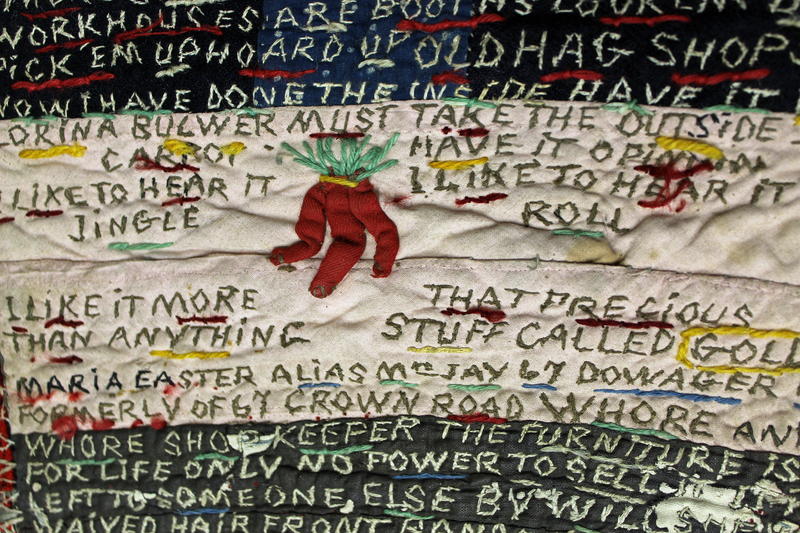 The embroideries touch on all kinds of prejudices common to late nineteenth century England; anti-semitism, and also suspicion of socialism, republicanism, the French and “tramps”. The Leeds Lorina mentions “A CONNECTIVE TRIBE UNION”. We seem to be looking some kind of paranoid personality disorder. At one point, Lorina decided she had inherited and was the rightful owner of, two people’s houses (one, a local doctor her sister had rejected as a suitor years before, the other a workhouse dignatory’s) and that she threatened to leave the asylum and would “RETURN TO MY HOUSE IN/AUDLEY STREET AND REMOVE MY FURNITURE TO F. PALMER/Esq HOUSE SOUTH QUAY” [Leeds Lorina]. Annexing of other people’s spaces seems to be characteristic of the powerlessness she must have felt; a sort of helpless flailing. Part of Lorina may have known the Palmers would be horrified by her turning up on their doorstep with all her goods and chattels, fresh from the asylum. Lorina frequently characterised her enemies as belonging to some kind of socialist cabal, or else they were “hermaphrodites” or “eunuchs”; as if she was erasing/denying gender. We have only to think of the anti-semitic hysteria in London, surrounding the Jack the Ripper murders of 1888 – the year of Pinching’s death in Nevada – to remember how prevalent anti-semitism was, at this time and indeed Lorina herself references the Ripper in two of the samplers, deciding he must be a man called Taylor, an old acquaintance/relation. Lorina’s hatred for Anna Maria may have had its roots in sexual jealousy. In the earlier sampler, she mentioned Anna Maria rejecting a proposal from Great Yarmouth man, Frederick Palmer. In the later sampler, she claims Palmer left Lorina his house in his will. Maybe years earlier, in the 1850s, Lorina had had her eye on Palmer, only for him to propose to her sister? Speculation, but interesting as it might shed light on her thoughts about Pinching, who ‘examined’ her, pronounced her to be ‘properly shaped’ and then eloped with her sister. (Crossley and Peto appear to have been Workhouse officials, unconnected with Anna Maria). “PINCHING – In this city May 20, Anna Maria, widow of the late Dr R.L.Pinching,and beloved mother of Mrs W.A.McAfee, and Arthur and Herbert Pinching, a native of Beckels, [sic] England, aged 60 years, 11 months and 25 days. Lorina died in the workhouse, of influenza in 1917, aged 79. If she was indeed admitted, round about 1894, she’d have spent 23 years in there. In the 1901 and 1904 embroidered letters, she was keeping her old life alive; recounting names, places and people that “I, Miss Lorina Bulwer” had once known; maybe in an attempt to pin down her own shifting identity or counteract that hollowness she detected in other people. Her bete noirs, the Pinchings, were by then long gone. Her story has taken us through England, Ireland and America, and home again. From a workhouse asylum, to White Pine County; worlds apart but now equally, unpopulated ghost-towns, held together by the frayed threads of one woman’s life. Lorina wrote of the inherent artifice of the people around her, focus of her paranoia : “MAKING AND ALTERING SHAPES THE SKELETONS INSIDES/COMPLETELY EATEN AWAY” – their identities so erased not even the skeleton remains. Yet the marks she made with yarn on fabric, have lasted and have given us a privileged insight into that most nineteenth century of people, “the madwoman in the attic” and what lay beyond the flashy, fashionable lives of Dr Pinching, Anna Maria, and the cast of characters who come alive in Lorina’s letters “from Hell”. Punch, August 1856. Via WIkicommons. Thanks to: Melissa, who found the non UK info. Thackray Medical Museum, Leeds, who kindly allowed me to see the ‘Leeds Lorina’ and accidentally ended up giving me a guided tour of the old Leeds Workhouse! And gave me a transcript of the Leeds Lorina. Norfolk Museum Service – all there who helped me with transcripts, etc. “I MISS LORINA BULWER WAS EXAMINED BY DR PINCHING OF WALTHAMSTOW ESSEX AND FOUND TO BE A PROPERLY SHAPED FEMALE ” [From Transcript of one of Lorina Bulwer’s embroidered letters]. Last year, someone asked me to go look at a fascinating textile – some kind of embroidered sampler – they had in storage at the Thackray Medical Museum, in Leeds. They wondered if I could shed any light on it, in view of my fascination with eighteenth and nineteenth century asylums, and the crafts done in them. I went – not reluctantly, but not expecting much. Embroidery and samplers are slightly out of my comfort zone. Plus… I was a bit put off, to find out the thing I was going to see was maybe Edwardian, so “after my time”. But went anyway. I didn’t come away disappointed. Turned out, the ‘sampler’ was in fact a twelve foot long embroidered rant by a woman called Lorina Bulwer; a sort of Tweet (well an entire prolific Twitter user’s entire account’s worth of Tweets) from the past. You can read more about the embroidered letters and the indomitable Lorina here, on the excellent Frayed: Textiles on the Edge blog. Briefly, Lorina Bulwer was christened 13th May, 1838, in Beccles, Suffolk; her father: William John Bulwer; mother: Ann Turner. She grew up in Great Yarmouth, Norfolk where her parents had a modest chain of several grocery shops. Lorina appears to have been well educated and probably lived a fairly comfortable life with her parents and siblings, Edgar, Anna Maria, Amelia, and Walter. When her father died, and with all her siblings having left home, Lorina met that fate common to many women of that time and her social class – she helped her mother and their home became a ‘boarding house’. Letting rooms to strangers being one way to keep some kind of roof over your head. I will not repeat here the info you will be able to find in my article in June’s ‘Family Tree Magazine’. In that article, I’ll be talking about crafts and asylums generally, and what kind of info genealogists might be able to find about their asylum inmate ancestors. Here, I am going to go in search of a character whose story is worked into Lorina’s samplers. And I’m going to tell you why this is so close to home for me. Lorina’s letters were remarkably like over 700 illiterate, unpunctuated, 90 page long emails full of biblical quotes and random threats I received last year, over a period of 12 months, from someone who has since received a suspended prison sentence and a restraining order. (You’ll be glad to know the blood and thunder emails have now stopped). I received emails in bold and caps lock (the modern equivalent of green ink?) emails so epic in scale, the police couldn’t afford to print them out; full of rage against various targets, and copied in to as many as over one hundred people, including myself. I found myself starring as the major hate figure in the sender’s emails, just as Lorina’s sister, Anna Maria Young (AKA Anna Maria Pinching), figured in the three extant embroidered rants. I started to feel a certain sympathy for Anna Maria. If she lived now, Lorina might well use the medium of CAPS LOCK email and the ‘CC’ button. The beauty of her embroideries is, of course, their permanence as a medium. Had she written letters rather than embroidered lengthy scrolls, they would no doubt have ended up in the bin. To complain about your lot and rail against the world using the medium of embroidery does seem to me to be remarkably apt for a nineteenth century/early twentieth century woman. Using the very activity meant to subjugate; to protest. Insanity and how it is diverted into creativity or destruction, was of great interest to me, at this period of feeling under siege. Most researchers see it sympathetically, from Lorina’s point of view, but I have to admit, I had a sneaking regard for her arch-enemies, who were at the sharp end of the rants, as well! The sampler was about to go to Norfolk to go on display with their “Lorina” (also several metres long, and similar rants although the Norfolk sampler is thought to pre-date the Leeds one by several years). Antiques Roadshow-style a third sampler has recently come to light, found in an attic in County Durham. Now, my day at the Thackray Medical Museum had an added bonus as one of the Thackray’s incredible staff showed us ‘behind the scenes’ and it turned out, the museum is the old Leeds workhouse. Many working class folk or ‘paupers’ as they were stigmatised, once their working lives were over, ended up in workhouse hospitals or asylums. I entered the Museum by the grand entrance hall (intended for dignitaries and the Great and Good) but ended up seeing the still intact inmates’ staircase, hidden behind the scenes, and although the building has been extensively re-modelled, was shown the few original bits of the workhouse, that remain. Well, Gentle Reader, you know me… Always up for a genealogical challenge. So I found Dr Pinching. “Anna Maria Young” is mentioned a lot in both the known samplers. And I found Anna Maria Young on the 1861 Census, living in Walthamstow, Essex, with her husband George Young (“Agent – Spirits”) and two stepchildren, his children from a previous marriage and their own baby, Walter G Young. I remembered Ruth Burwood’s mention of “Dr Pinching of Walthamstow” and wondered if there was a connection. Lorina lived with her parents, later with her widowed mother, in Great Yarmouth and there was no obvious Walthamstow connection until I found Anna Maria there with her new husband and baby. By the 1871 Census, I couldn’t find George Young at all, and neither could I find one of his daughters, or his son with Anna Maria – although the other step-daughter was living with her grandparents; a general servant and gardener and his wife, in Littlebury, Essex (where George Young himself had been born). What had happened? If George Young had died, why was his daughter not with Anna Maria, her step-mother? And where was Anna Maria? In the samplers, Lorina claimed to have no sisters – maybe she felt alienated from them, as on the night of the 1861 Census, Anna Maria had had a visitor – her sister Amelia. Maybe Lorina felt both Anna Maria and Amelia were “imposters”. Lorina seems to have believed she and some family members had been swapped for young royals. Much of her obsession seemed to centre round her siblings Edgar, who it is thought, had her committed to the asylum, and Anna Maria – whose role was more nebulous. Richard Lloyd Pinching was born around 1810, in Ireland. At some point, he came to England, qualified as a surgeon in London in 1833 and married a Londoner whose first names were Mary Martha. According to the 1851 Census, Dr Pinching and family lived on Marsh St, Walthamstow, where he was listed as “General Practitioner, M.R.C.S, England” with three sons, “W.H.G” (12) “H N” (9) and “R L” (8), all born Walthamstow. I was able to pick up the story of Richard Lloyd Pinching in the newspapers as he was at the centre of ‘The Walthamstow Scandal’. In 1855, Dr Pinching was appointed a Guardian of the West Ham Union (of workhouses) for Walthamstow. In 1859, The Lancet reported Dr Richard Lloyd Pinching of Walthamstow was being investigated for indecency with a 13 year old girl. (Reynold’s Newspaper, March 13th, 1859) and there were calls for him to be struck off the medical register. The following week, the same paper printed a threat by Pinching to litigate “…Mr Pinching has maintained an honourable position as a surgeon in a large practice in Walthamstow for upwards of twenty years…” (‘The Alleged Walthamstow Scandal’). Dr Pinching seems to have exonerated himself – apparently he blamed “strong tea” for the incident, and didn’t deny sending the child many explicit letters. Pinching continued to practice as he hit the national headlines again. In 1860, he was described as the deceased’s ‘medical attendant’ in an infamous lawsuit involving a legacy. It seemed his patient, the testator, tore up a will he had made in favour of a certain person, and Pinching was in the process of persuading him to make a new one when he died. “..A doctor, one Richard Lloyd Pinching,who acknowledged to unsavoury antecedents, and who attended the dying man from February to the end of April, charged the enormous sum of £962, besides £76 14s and 3d to his son for medicines!” (The Bury & Norwich Post, December 11th, 1860). Lorina was not admitted to the Great Yarmouth workhouse, until decades later. If he did indeed examine Lorina and find her to be “a properly shaped woman” (I think we can guess what kind of examination that was, and how mortifying it must have been for her), he did it before 1870 and when she was still a young woman; possibly in his capacity as her sister, Anna Maria’s ‘doctor’. As The Walthamstow Scandal and later, the Dent Legacy case, both hit the national newspapers, there can’t have been many of Walthamstow’s residents who didn’t know about Dr Pinching, or encounter the negative press.I doubt Anna Maria was ignorant of the cases as they were so well reported. The reason I could not find the Good Doctor or Anna Maria on the 1871 Census was that in 1870, one Anna Maria Pinching arrived in California, with 8 year old son, Herbert, and husband, Dr Richard Lloyd Pinching, born Ireland ca 1820. (Pinching had knocked a decade off his true age, presumably to impress the new ‘wife’). According to censuses, his legal wife, Mary Martha, lived – and on the 1881 Census, Mary Martha Pinching was alive and well, and living with her son, stockbroker, Horatio Nelson Pinching, at Beulah Rd, Walthamstow. The story was taken up for me by a fellow genealogist, Melissa, who kindly traced the Dr’s trail stateside and further afield. (I only have UK Ancestry.com). The 1870 US Census had Anna Maria, ambiguously listed as ‘Keeping House’ in San Francisco for the Physician. Son, Herbert was eight, born in England and had the surname Pinching which means whether George Young was dead within a year of the 1861 England Census or not, Anna Maria had a child allegedly by Dr Pinching, around 1862. There is no trace of Anna Maria’s children or stepchildren from her marriage to Young. The Pinchings lived at 312, Sutter and Dr Richard Lloyd Pinching was naturalised as an American citizen in 1873, his ‘nativity’ erroneously listed as ‘England’. Pinching may have been in further trouble, as in 1882, the elderly “Dr R.L.Pinching” sailed on the ship Zealandia, from San Francisco to Sydney, Australia, in steerage so not the most salubrious of crossings. In the New Zealand Gazette, Register of Medical Practitioners, Dr Richard Lloyd Pinching was recorded as being certified with the Royal College of Surgeons, in 1833. He must have returned to the U.S, although was not with Anna Maria at the time of his death. On 10th August, 1888, Dr Pinching burned to death in a fire at a friend’s house, at Cherry Creek, Nevada. Cherry Creek is now a ‘Ghost Town’ (videos on YouTube) and looks like an abandoned mining settlement. It’s possible Pinching ended his days as a mining town pox doctor. Cherry Creek was a world away from Walthamstow, in every way. He was still resident in San Francisco, officially, at the time of death and his “widow”, Anna Maria, survived him. In 1920, their son, Herbert, was a copper miner in Primal, Arizona. I could not find a ‘Herbert Pinching’ on the Births Index of Free Births Marriages & Deaths, for 1862 or indeed, any date. I have, however, found a ‘Herbert Young’ born in the second quarter of 1862, and registered in West Ham. Walthamstow is part of West Ham registration district. I would have to buy the birth certificate to see the Mother’s name. But I have a feeling it may be… Anna Maria Young, of Walthamstow. I would love to link to Lorina images but haven’t got permissions. If you Google images for ‘Lorina Bulwer’ – you can fill your boots! They are truly amazing. ‘Yarnmaker’ No 18 is just out, and with it a piece I did about Great Wheels . On a Ravelry thread in the Yarnmaker Group this week, someone referred to this picture, (above) and asked what the elderly lady was doing. The answer is… that is a click or clock reel. AKA “weasel”. This style of reel in fact seems to have been differentiated with the name “weasel”. A reel which includes a mechanical means of indicating by an audible ‘click’ that a certain number of turns of the reel have been made. This facilitates the correct and speedy measurement of handspun yarn. Clothiers and manufacturers expected hand-spinners to provide them yarn in predictable lengths – the industry standard for a hank of worsted being 560 yards. A weasel would speed up the process and provide uniform hanks. From this we can see that “reeling right” was a priority. 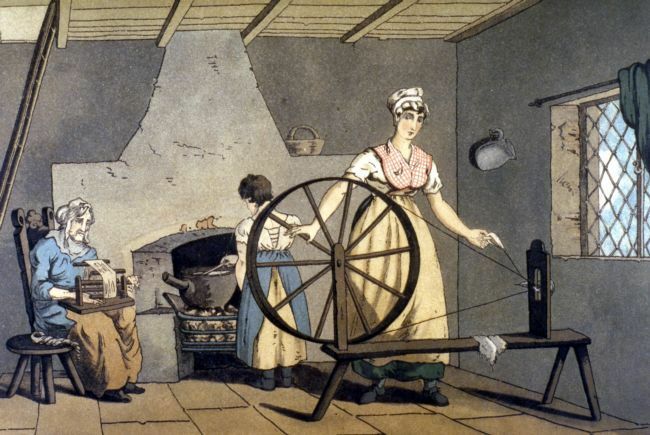 In an household, the elderly and children would be pressed into service for jobs like wool carding and reeling. I will leave you with another image we took in the bowels of the Bankfield – you can also find it in Yarnmaker 18. 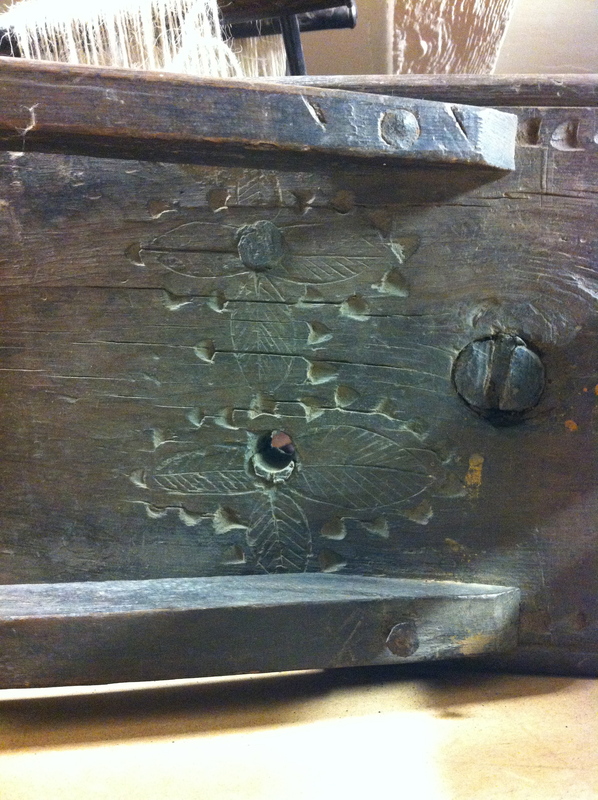 These lovely leaves were carved on the underside of a Great Wheel bench (a wheel from Wales). No-one was ever intended to see them, or even know they were there, except for maybe the spinner. And even when this wheel was on display, years ago, it must have kept its Folk Art secret. This weekend, I’ll be mostly going on about the history of Dales knitting. So just a reminder to anyone who fancies a day out at the Yorkshire Museum of Farming. It’s Country Crafts weekend, so there will be various living history folk, and craftspeople in costume, around the museum. I will be there in full 1800 period kit. Talk A.M., workshops P.M both days of this coming weekend. Saturday 5th and Sunday 6th April. Just turn up for the talk (morning). If you’re interested in the workshop (afternoon), let me know by email (below) so we can pencil you in. I’ll be going on (and on) about Marie Hartley and Joan Ingilby’s book, ‘The Old Hand-Knitters of the Dales’. How it was researched and written in 1949. And how we have put together the new edition. 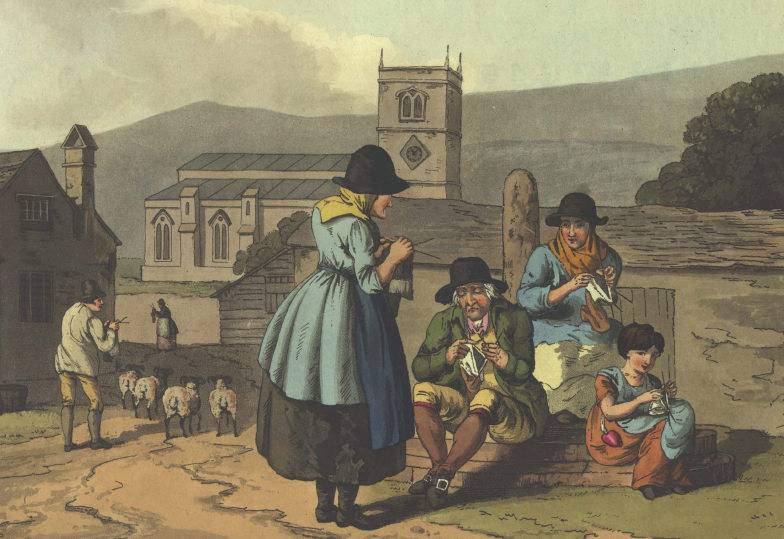 And also generally, the history of knitting in Yorkshire, and how as a genealogist, I went about putting names, faces and life stories to the forgotten knitters of Yorkshire. I will also cover techniques of the old hand knitters like swaving and using a knitting stick. But of course, if you read this blog you might have other questions about knitting/genealogy stuff and I’d love to have a go at answering them! Time: 10:30 to 12:00 am. Price: £10 including museum entry. If you’re interested in attending the talk, either day – just turn up. I will go on (and show you pictures and actual Things) for some of the time, and then you can throw questions at me. April 5th and 6th is the 2014 opening weekend at the museum, and my talks/workshops are just a small part of Murton Park’s Country Crafts weekend. So there will be other things to see and do. A rare chance to learn this brilliant, simple but obscure method of knitting. This workshop will show you how to knit like the old Dales knitters! I can’t promise to make you into a ‘terrible knitter of Dent’ in a couple of hours. But you will learn how to use a knitting stick and be part of the revival of this almost-lost art. There are very limited places on these workshops – mainly so everyone gets as much one-to-one as they need. There has been a bit of interest though so don’t despair if you can’t make this weekend, I will be offering this workshop again soon. Price: £12.50 (includes Museum admission). If you already paid admission earlier, workshop price is minus admission price. Suitable for: knitters who know how to cast on! Bring: yourself, and a belt (or apron with a waistband). You’ll tuck your stick into this. Materials will be provided at workshop. We will loan you a stick, and needles, on the day, for you to learn with. But feel free to acquire your own and bring them along. Needles: if bringing your own, 8” or longer stainless steel dpns are best. Saturday workshop is now FULL but there are still a couple of places left for Sunday. If you’re interested, email me: penelopehemingwayATgmail.com and I will add your name to the list.